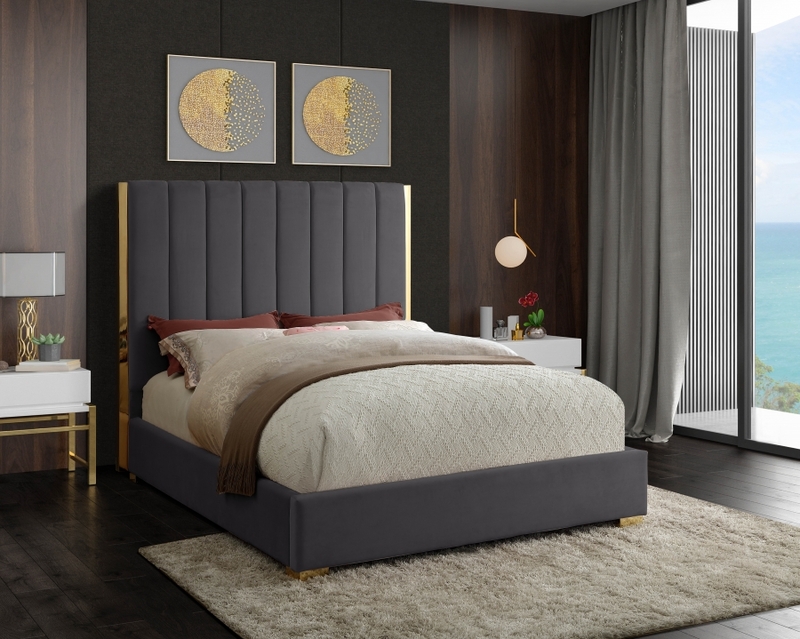 Transform your bedroom into a luxurious place to retired in the evenings with this elegant Becca green velvet king bed. 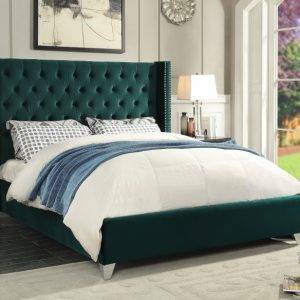 Featuring a green velvet base with channel tufting atop a polished gold metal frame, this king-size bed makes a bold statement even when incorporated with existing contemporary bedroom décor. 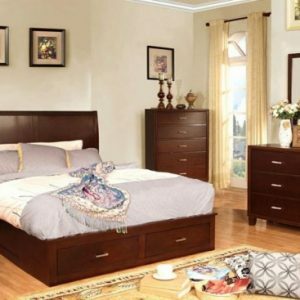 With a width of 85 inches, depth of 86 inches, height of 61.5 inches, and footboard height of 13.5 inches, this chic bed offers ample space for you to get a good night’s rest.